Hi Shelly! Welcome to Bonnie Clark Books! Tell me a little about your family and where you’re from. 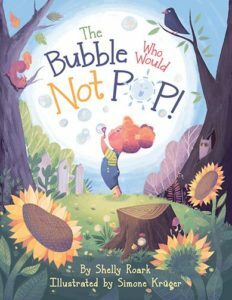 Your debut picture book — The Bubble Who Would Not POP! — is available this month. Congratulations! What is the theme of your book and why is this theme so important to you? My book is about a tiny bubble with a BIG job—a little girl has asked him to take her prayer up to God. He faces surprising challenges on his journey but learns some important lessons about prayer along the way. I think teaching children about prayer is one of the greatest spiritual investments we can make. When God gave us prayer, he gave us a great treasure meant to be shared. Have you always wanted to be a writer when you grew up? What makes you want to write for children? I actually HAVE always loved writing. When I was a kid I wrote little stories all the time. I started writing for the school newspaper in high school and was hooked! I’ve written professionally my whole adult life and absolutely love sharing people’s stories. But writing for children has a special place in my heart. My fun hobby has always been helping with children’s ministry. Children’s books help me to combine my two passions! Being a debut picture book author is a really big deal! How has the publishing process been for you? What advice would you give to any aspiring authors? Little Lamb Books, my publisher, is absolutely awesome! They have been very patient with me. Sometimes “creative” people aren’t the most organized or timely. LOL! One thing I would advise anyone who has a passion for writing is . . . write. Start blogging and cultivate a presence on social media. That way you’ll have a platform and support system. No one can buy your books if they don’t know about you or them. What were some of your favorite books when you were a child? What are some of your/your family’s favorite books today? I’m kind of sad that my kids are too old to read children’s stories to . . . because I still really love kids’ books. However, at Christmas I read to them anyway no matter how old they are! Some of my favorites are The Tale of Three Trees, How the Grinch Stole Christmas and The Christmas Miracle of Jonathan Toomey. 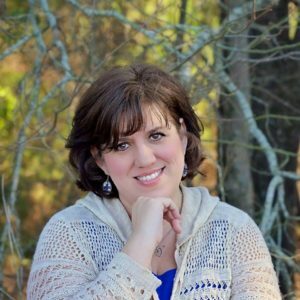 Shelly, you recently shared a Back-To-School-Prayer Challenge on your blog. (which I LOVED by the way!) Tell me what prayer means to you personally. I think it is absolutely amazing that we have this open channel of communication with God Himself! Can you believe it? What a gift! I truly feel that God wants to hear from us on this personal level. When I find myself getting agitated and feeling stressed by life’s crazies, more often than not, I realize . . . wait, I haven’t prayed. And as a parent, I’m convinced that praying for our children is one of THE MOST IMPORTANT things we can do for them. So, I try to do my best at lifting them up in prayer as much as I can. Where can someone purchase The Bubble Who Would Not POP? Thank you for asking! My little book is available for pre-purchase right now online at Amazon and Barnes and Noble. It officially launches on September 28. Yahoo! I’m so excited to share it with kiddos and their parents. The illustrations by the book’s artist Simone are absolutely stunning . . . they make me smile every time I look at them. ← There’s a Book for That!